Akhila Satish, MBA, MS, is a scientist and entrepreneur. She is the CEO and founder of CyberDoctor, a healthcare communications company. CyberDoctor’s latest app, PatientPartner, is the first application to be proven effective in significantly improving adherence and biological markers in diabetic patients. This groundbreaking app was recommended by a number of diabetes organizations and media outlets including A Sweet Life and DiabetesMine among others. 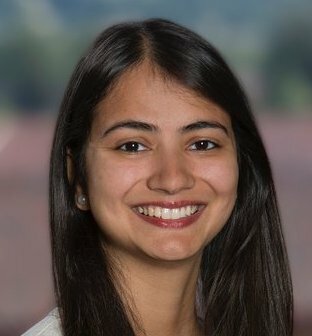 Akhila has received numerous accolades and honors for her work on CyberDoctor; notably, she was honored as a Rising Star at Health 2.0 in 2013, a semifinalist in the Healthcare Innovation World Cup, and a Global Leader in Innovation and Entrepreneurship from the Center of Healthcare Innovation. Akhila is a frequent speaker at a variety of healthcare conferences and universities. She speaks on issues of scientific literacy, the transition from research to entrepreneurship and the importance of clinically proven technologies in the healthcare technology marketplace. She previously worked in life sciences research at the University of Michigan and the National Institutes of Health. Her published work includes papers in Nature and Human Genomics. Several of her articles on scientific literacy have appeared in Forbes. Currently, she blogs at the Huffington Post as part of a project to help translate scientific journal articles in a way that is accessible for everyone, not only those who are scientifically trained. Akhila received her Bachelor of Science in neuroscience with honors from the University of Michigan and her graduate degree in biotechnology from the University of Pennsylvania..